The recent celebrity weddings of Sonam Kapoor and Anushka Sharma clearly showcase India’s undying love for this life-changing event and the magnanimous way we celebrate it. We bring you here some of the up-and-coming wedding destinations with Instagrammable locations. Weddings are now quite evolved; they resonate with ceremonial grandeur, personalised decor, outlandish themes, gorgeous locations and more. 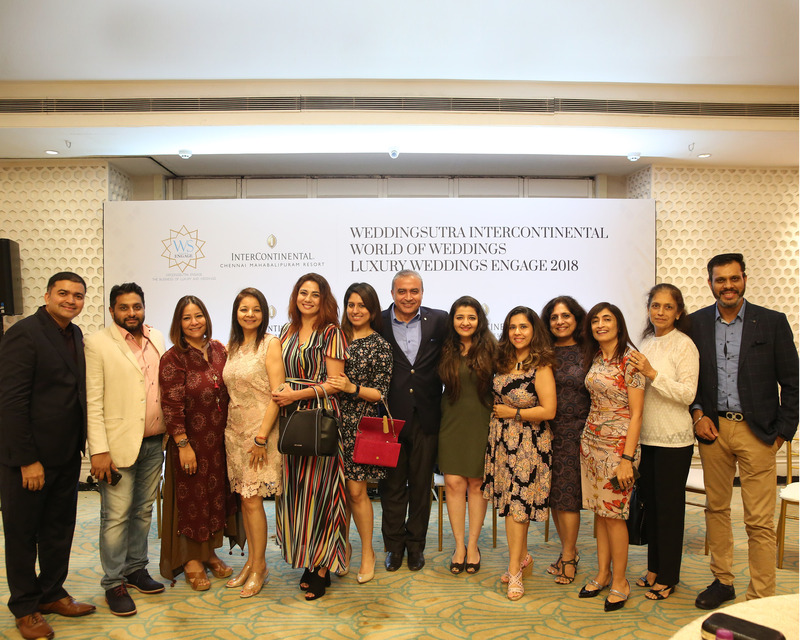 In fact, the lucrative Indian wedding industry stands at about Rs 1 trillion and is rapidly growing at 25 to 30 per cent annually, as per an Assocham report. It is estimated that Indians spend between Rs 3 lakh to a whopping Rs 8 crore on a wedding. But what makes a wedding truly memorable? A mammoth team of planners and curators who work behind the scenes. 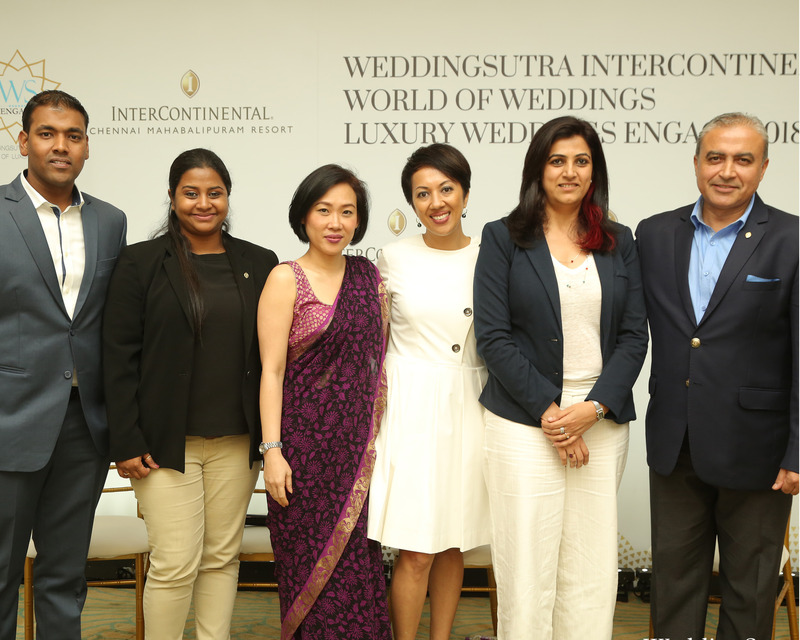 Bringing together these established industry experts, InterContinental Chennai Mahabalipuram Resort hosted the InterContinental World of Weddings Luxury Weddings Engage 2018 for an immersive experience at Mumbai’s Mayfair Banquets recently. 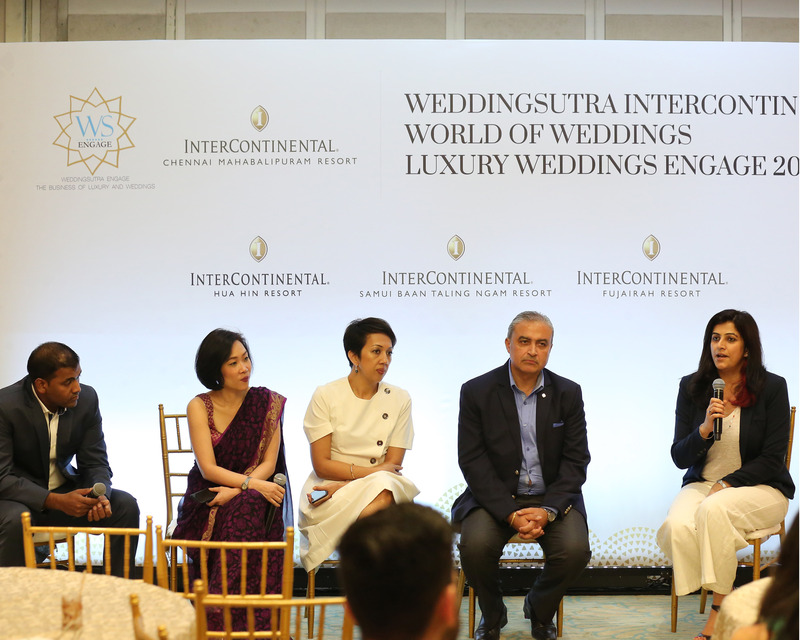 Celebrity wedding planners, hoteliers, event curators, photographers, filmmakers, graphic artists, jewellery designers, and bartenders shared their insights on the changing wedding landscape and the many upcoming trends to look forward to. Some of the trends that emerged were pre-wedding shoots at various destinations, postcard-style invites, eco-friendly weddings, wedding apps/unique hashtags, and more. But with Indians spending nearly Rs 13 million (USD 200,000) on destination weddings, most great weddings converge at the right destination. 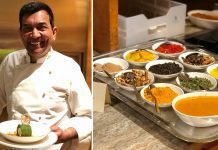 Be it the Virat Kohli-Anushka Sharma wedding in Tuscany, Italy or Kunal Kapoor and Naina Bachchan’s wedding in Seychelles, Indians are exploring new destinations for their nuptials. 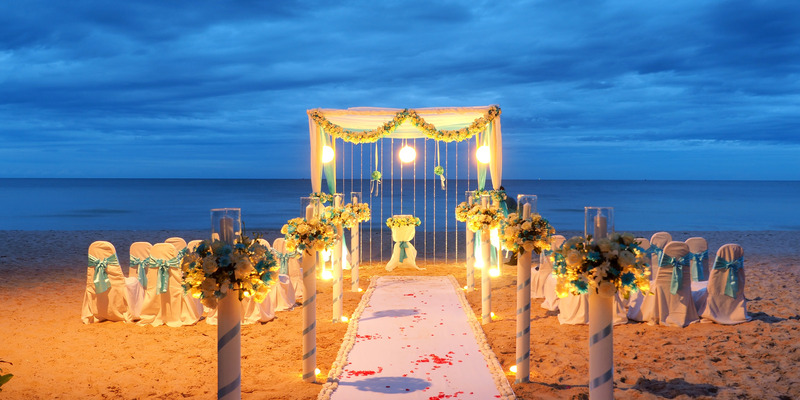 Surpassing Goa as India’s popular beach-side venue, Mahabalipuram is rapidly gaining momentum as a wedding destination. InterContinental Chennai Mahabalipuram is located a stone’s throw away from this temple town that is home to numerous UNESCO World Heritage sites. 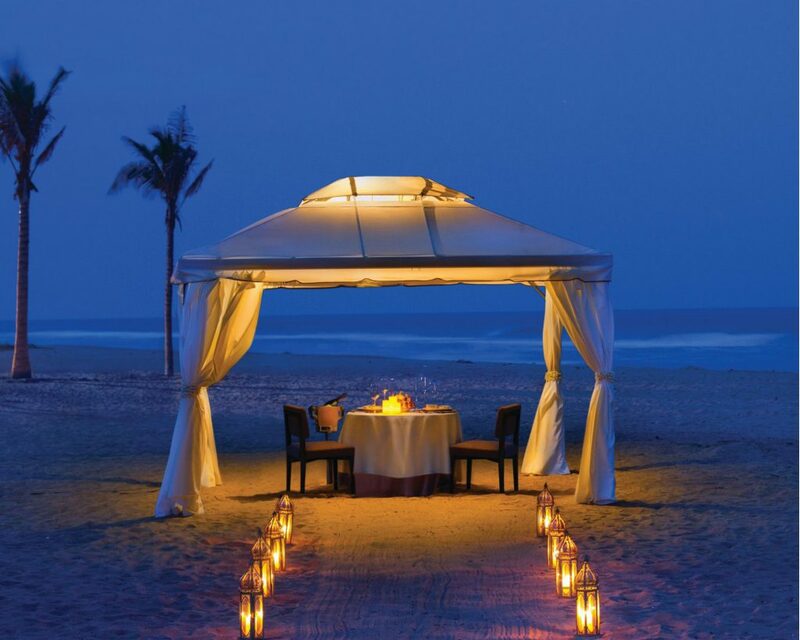 Situated by the Bay of Bengal, it has an exclusive beach access where you can host the main wedding ceremony, an evening of sundowners and cocktails for your guests or even a private tent post the celebrations. Add a personal touch by opting for the ‘Dine by Design’ and have a customised meal curated just for you. With 92 rooms and 13 suites that boast ocean views and private pools, you can host your entire wedding party at the resort itself. With a veritable mix of culture and luxurious fanfare on offer, Middle Eastern destinations are sought-after for several reasons. Shorter flight times, proactive tourism boards and availability of vendors are driving Indians to get married in the desert land. After all, who doesn’t want to make an entrance in a limousine or have their mandap in a golden palace? 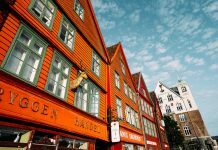 Even the locales are surreal, which is sure to make your wedding photographs a trending topic. 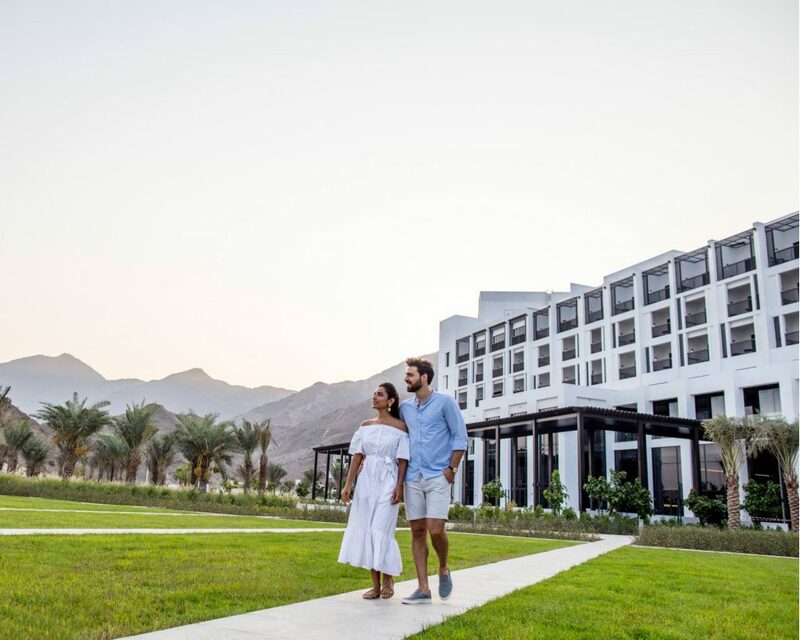 Take the recently opened InterContinental Fujairah Resort for example. It offers the juxtaposition of mountains and sandy beaches; all in one place. Plus, you can add some adventure with water sports too. 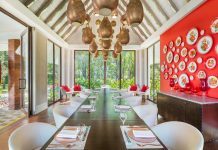 With about 190 rooms and four restaurants, the resort can host almost 600 people. While Thailand has been hosting weddings for a while, many of them were based in the city of Bangkok. But now, places like Koh Samui and Hua Hin are beginning to pick up. 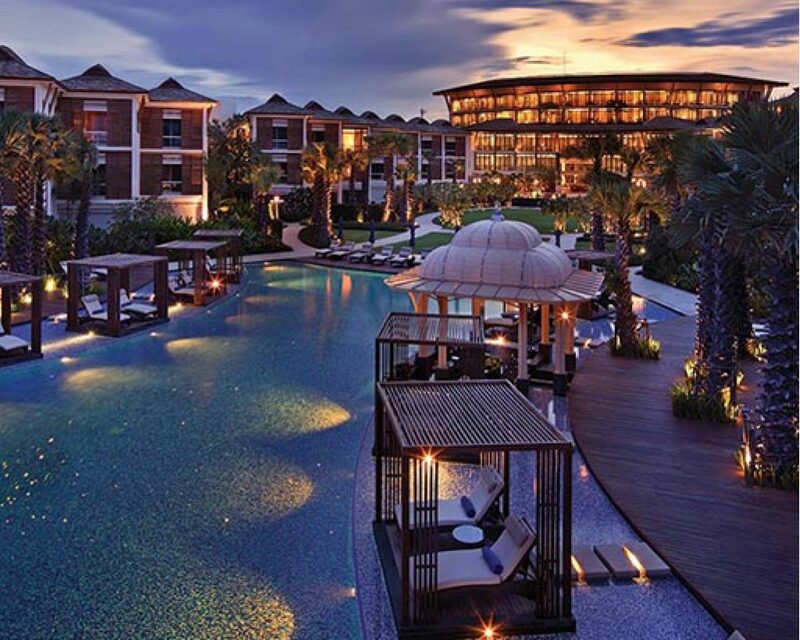 InterContinental’s Samui Baan Taling Ngam Resort in Koh Samui is truly a location that makes a statement. One of Asia’s most romantic resorts, it has been listed in The New York Times as one of the 1,000 places to visit in your lifetime. The resort has a gorgeous cliff-side setting, a private pier and a private beach, making it the best spot on the island to catch sunsets. The 22-acre property is well equipped for weddings with nine different venues for setups, rooms for over 200 guests and seven pools that can be used for cocktail parties or mehendi ceremonies. Plus, they have a dedicated wedding team with Indian chef and bartenders to cater to your needs. 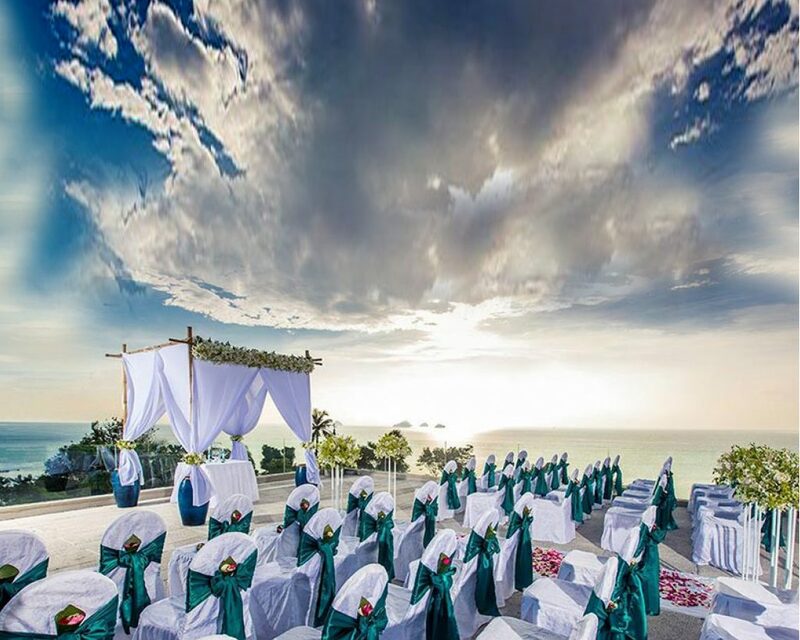 The InterContinental Hua Hin Resort is also a great spot for beachside weddings set against the backdrop of the royal heritage era of the 1920s. Their manicured lawns and courtyard are idyllic for a large wedding party, while their ballroom can seat over 200 guests.